A United Nations tribunal has convicted General Ratko Mladic on 10 out of 11 counts of crimes he was accused of committing during the Balkan Wars of the 1990s. Critics of the prosecution of crimes during the violent collapse of Yugoslavia question its fairness. The International Criminal Tribunal for the former Yugoslavia (ICTY) handed down its verdict on Wednesday. The justices found Mladic guilty on most of the allegations dating back to the 1992-1995 war, including the massacre of Bosnian Muslim men and boys in Srebrenica. Mladic pleaded not guilty on all charges. Presiding Judge Alphons Orie said the court found that Mladic’s actions during the war were “among the most heinous known to humankind” and amounted to genocide. 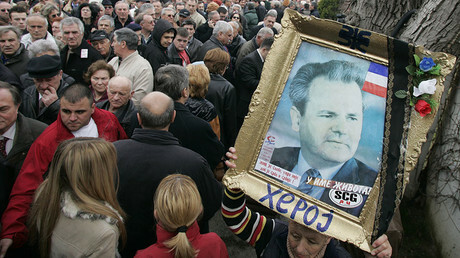 The court sentenced the Serb to life in prison. The conviction is likely to fuel resentment in Serbia that the international prosecution of crimes committed during the Balkan Wars was one-sided and failed to bring justice to victims of Albanians and Croats. Of the 161 individuals indicted by the ICTY, the body created specifically to prosecute wartime crimes, 94 are ethnic Serbs, compared to 29 Croats, nine Albanians and nine Bosniaks. Only a handful of Serbs, including politician Milan Milutinovic, General Momcilo Perisic and Yugoslav army captain Miroslav Radic were acquitted by the tribunal, compared to well over a dozen defendants of other nationalities. The tribunal insists the statistics reflect the actual crimes committed during the hostilities. 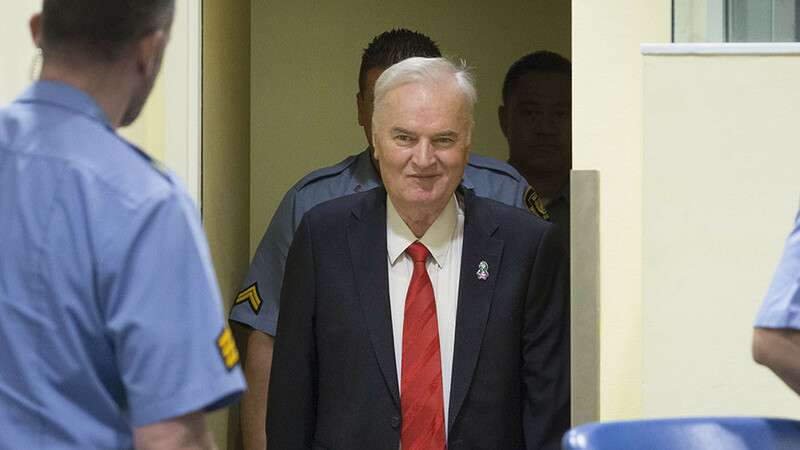 The case of Mladic, 74, was the last for the ICTY to pass a verdict on. Among the crimes he was found guilty of were the killings of an estimated 8,000 Muslim males in the UN-designated safe zone in Srebrenica and the 43-month siege of the Bosnian capital, Sarajevo, during which over 11,000 civilians are estimated to have been killed. Mladic’s defense team said it would appeal the verdict, with his case joining some two dozen others pending new rulings. Belgrade and Moscow have on various occasions criticized the tribunal for a perceived anti-Serb bias. In 2015, Russia used its UN veto right to block a resolution on the 20th anniversary of the Srebrenica tragedy, saying that the draft document depicted the Serbian people as the sole guilty party in the complex armed conflict in Yugoslavia.